The Dutch parliament has rejected a motion calling on the government to immediately withdraw a law ratifying the EU-Ukraine association agreement – a deal which was rejected by 61 percent of Dutch voters in a non-binding referendum earlier this month. Dutch Prime Minister Mark Rutte’s ruling party narrowly defeated a motion brought by the opposition Socialist Party, which called for overturning a law approving the controversial association agreement between the EU and Ukraine. Seventy-five lawmakers voted against the Socialists’ initiative, with 71 in favor. To secure the tiny majority, the government gained the support of independent MPs Roland van Vliet and Johan Stonemasons, De Telegraaf newspaper reported. The agreement focuses on a trade deal between Ukraine and the EU which would open their markets to each other and remove tariffs on goods. Notably, the agreement also mentions an enhancement in defense cooperation, which many believe could mark the beginning of a low-key integration of Ukraine into Western military structures. For the treaty to come into full legal force, it must be adopted by all 28 European Union member states. 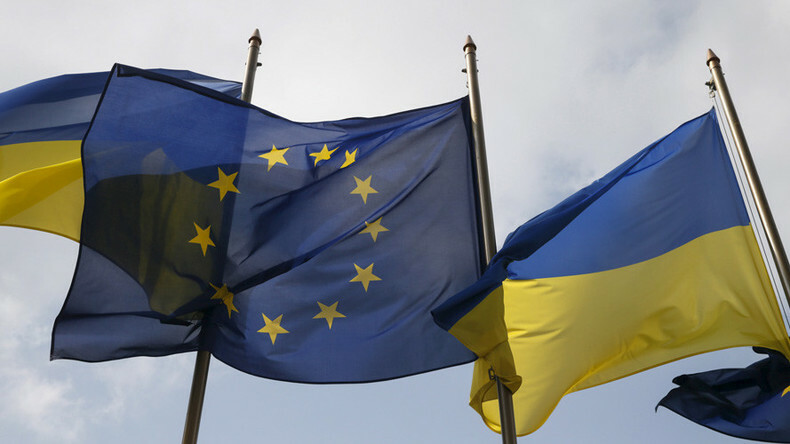 The Netherlands is the last EU country yet to ratify the pact with Kiev. It is also the only one where it was opposed by grassroots opposition, which successfully mounted a campaign to force the Dutch government to allow the people weigh on the agreement in a non-binding referendum. 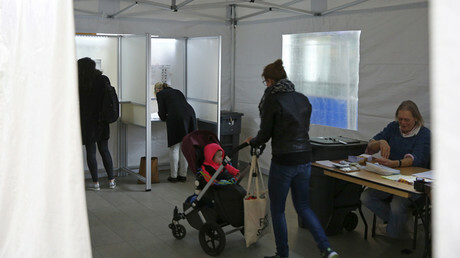 On April 6 more than 4.1 million Dutch citizens, accounting for about 32 percent of some 12.8 million eligible voters, cast their ballots and rejected the agreement, with a resounding 61 percent saying “No” to closer ties with Kiev. Tuesday’s parliamentary vote is likely to give Rutte more time to deal with mounting pressure from the country’s opposition as well as Brussels. Rutte said earlier that in light of the referendum results the government could not proceed with ratifying the deal, which has already been approved by the 27 other EU countries and already provisionally entered into force. The EU Commission said it was up to Dutch leaders to reflect on the vote and suggest a way forward. However, Brussels has continued to push the pact on Holland, despite the referendum results. “It may look as if we’re ignoring the Dutch voters, but we have to keep our word to Ukraine, which has met the conditions,” a senior EU source told Reuters earlier in April. Professor Kees van der Pijl of the University of Sussex told RT that the Dutch government never expected that the people would reject the deal. Some referendum critics have tried to downplay the results. “A referendum is not an appropriate instrument to solve complex issues in a parliamentary democracy,” Luxembourg Foreign Minister Jean Asselborn told Hannoversche Allgemeine newspaper earlier in April. “If you want to make Europe collapse, you only need to hold more referendums,” he concluded.